Are you Anton Cooper? Do you want to add more info to your profile? Feel free to contact us. Anton Cooper added 5 new photos. Anton Cooper shared Christchurch Singletrack Club's photo. Anton Cooper shared Trek Race Shop's video. Well you live and you learn! A bit disappointed with my 18th place today at the World Cup in Andorra but still some positives to take away. I put a bit too much faith in some riders wheels early on expecting to be pulled through but got myself boxed in during the start chaos and lost a lot of places and time early on. No one's fault but my own. From there I put in a big effort to get into the front chase group and suffered there big time for 2 laps hoping the pace might ease up. On the 3rd to 5th laps I went backwards at a great rate of knots before recovering enough to salvage 18th in the end with a stronger last 2 laps. Happy with the fight I showed on a tough day and to still be in 6th overall halfway through the World Cup season. Another chance next week in Lenzerheide at also a high altitude race but I know I can do much better if I can eliminate my own errors. Looking forward to it! 📸 In The Crosshairs - CXHairs.com Trek Bicycle Oakley #newworldsupermarkets also great to see my fellow kiwis Sam Gaze take 4th and Ben Oliver take 6th in Under 23 Men proving the strength of the sport in NZ currently, Impressive! Anton Cooper added 4 new photos. 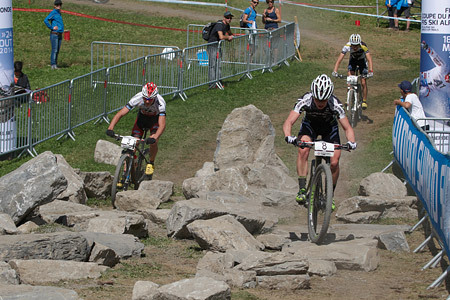 A cool video from Sunday's race in Gränichen! Anton Cooper with Oakley and 2 others. Anton Cooper with Oakley and Trek Race Shop. Anton Cooper with Armstrong Motor Group at Armstrong Motor Group. Anton Cooper with Trek Bicycle. 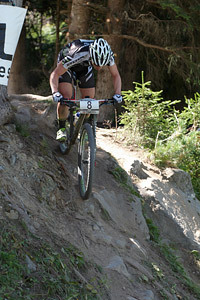 Anton Cooper added 3 new photos — at UCI Mountainbike World Cup Albstadt. 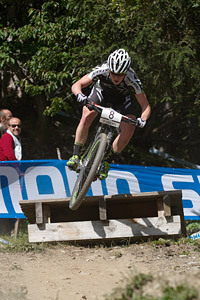 Anton Cooper at UCI Mountainbike World Cup Albstadt. Anton Cooper shared Trek Race Shop's album. Anton Cooper updated his status. Anton Cooper added 3 new photos. Anton Cooper updated their cover photo.